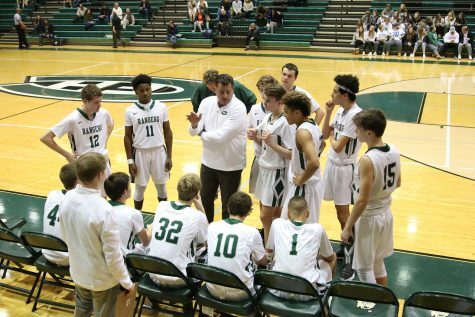 When the basketball season kicks off Friday night at East Kentwood, Rangerball fans will see a familiar face calling plays from the sidelines. 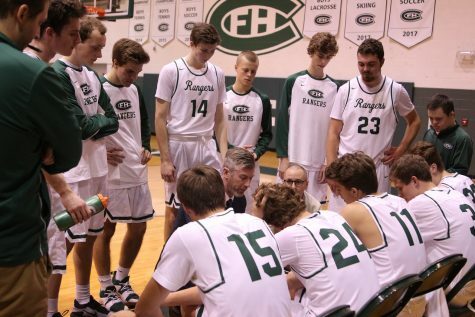 Former FHC player and now head varsity coach Kyle Carhart will be taking over the Rangerball coaching and traditions. 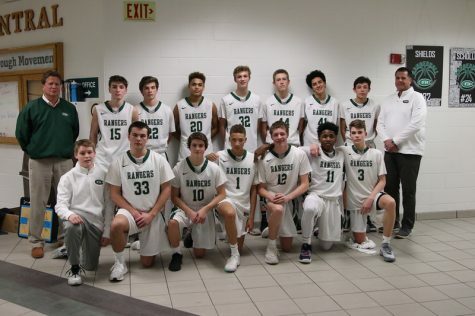 After the announcement of former head coach Ken George’s retirement from coaching at the conclusion of last season, FHC had some big shoes to fill before the upcoming year. 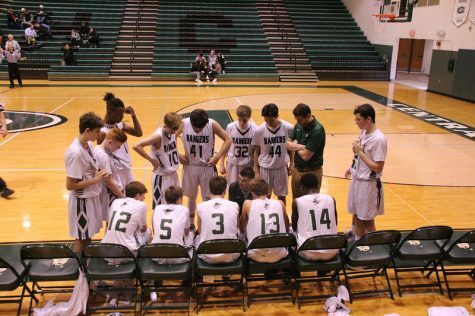 Carhart is no stranger to basketball or coaching. While formerly living in Finland, he coached U15 and U17 teams. Upon moving back to Michigan, he completed his teaching degree which earned him a job as both a teacher and varsity coach for Lowell. During his time with the Red Arrows, he even had some competitive games against his alma mater and former coach. Leaving Lowell after five years was challenging for Carhart after establishing his coaching philosophies there. But making the adjustment to green and white as both a coach and a teacher was a relatively smooth change. Luckily for Carhart, FHC wasn’t a completely new place for him. Moving back meant returning to his childhood roots. 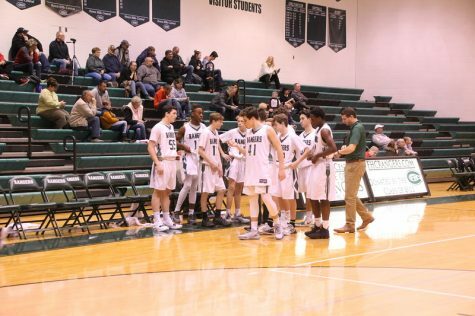 After having time to get comfortable here at FHC with the fall season, Carhart now looks ahead to the winter and basketball season with his new team. One player that will be taking on plenty of responsibility on the team this year is senior Daniel Deindorfer. Daniel has played on the varsity team for all four years and was adapted to George’s coaching style. Working with a new coach would take adjusting, but for Daniel, he doesn’t feel much of a change in coaching style. Even with a new coach, Daniel still has a very solid outlook on the season as a whole and the successes this team could have. 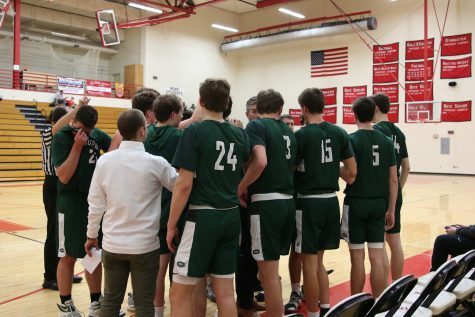 Daniel’s first three years of basketball on the varsity team were played under Coach George, who also has high hopes for Carhart taking over the team. 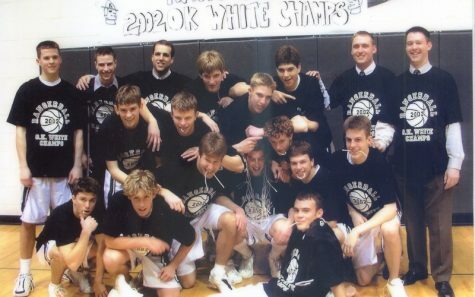 2001-2002 boys varsity basketball team, Carhart’s senior year. 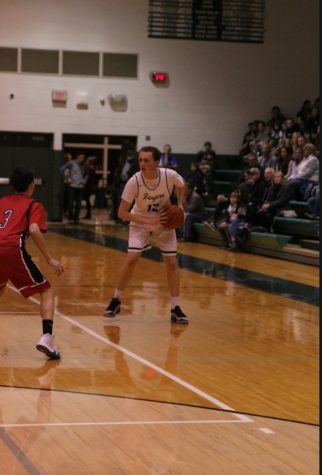 During this season, Carhart had 128 assists which still holds the single-season record in Rangerball history. 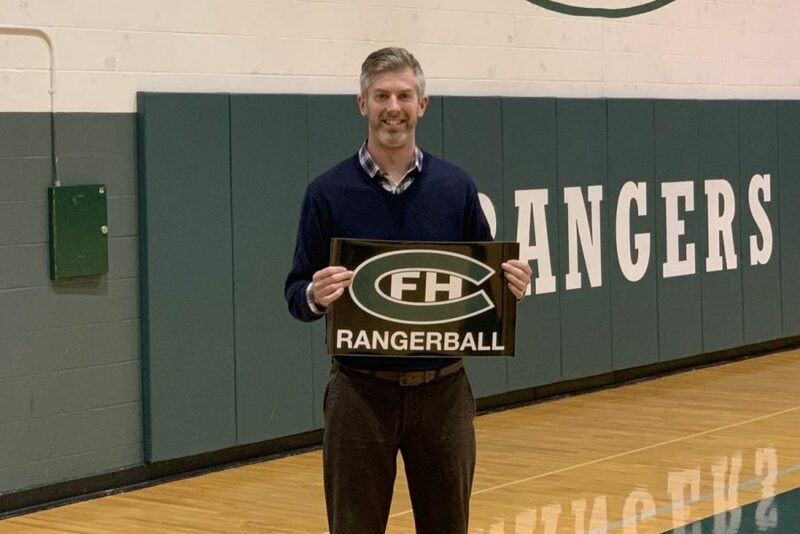 To George and now to Carhart, Rangerball means more than just a program. Rangerball is a tradition that both of these coaches understand. 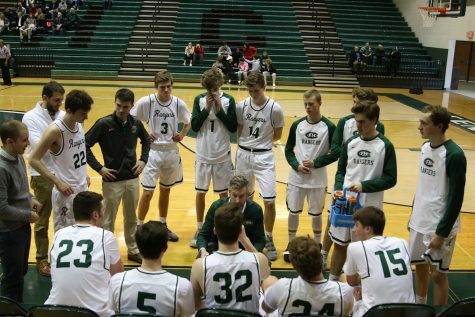 Some of the confidence in Carhart’s coaching ability comes from competing against George in the past when FHC took on Lowell. 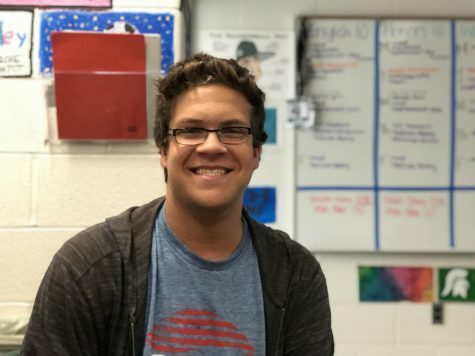 Overall, Carhart has been a welcome change to FHC, both as a teacher and a coach, as he finds a new opportunity to do what he loves.